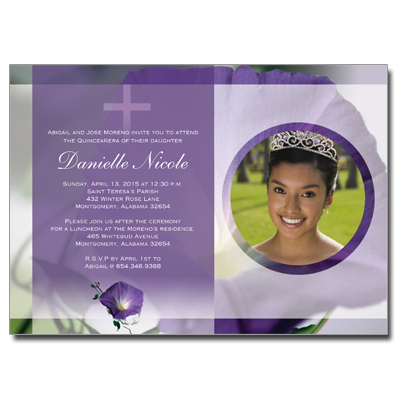 Celebrate your daughter's Quinceanera with this spring inspired purple flower blossoms invitation. This design features your daughter's photo with a blossoming purple flower as the background and your event information printed in white. Card measures 7 x 5.